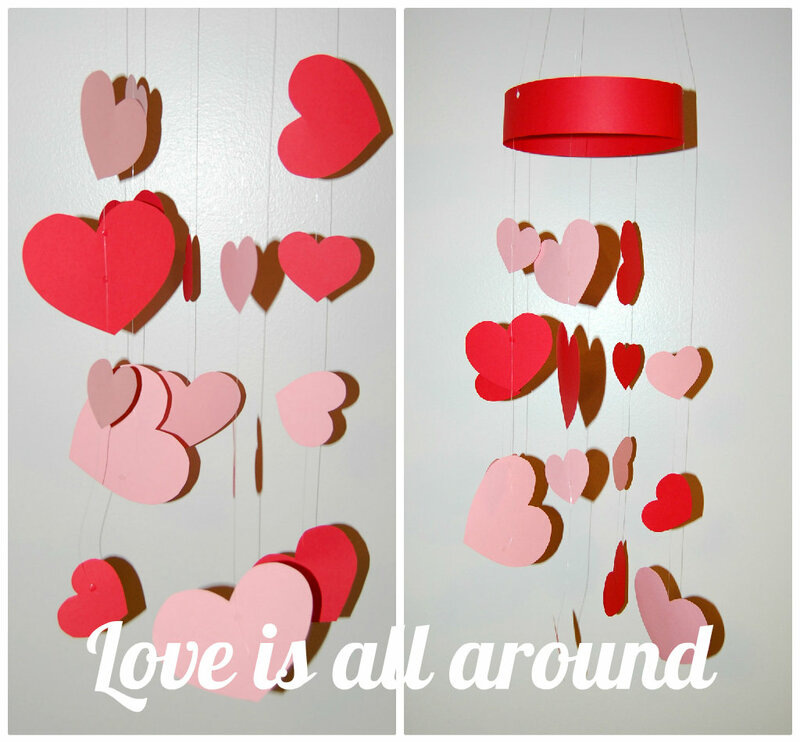 Brody wanted to make some Valentine decorations so we decided to make a heart mobile. It's just like the Fall Leaf mobile we made a few years ago. I even helped him make a mini mobile for his room. He loved it! First I made a paper circle by taking the two strips of paper and placed two Craft Glue Dots on one end of each strip of paper and pressed them to the end of the other strip without Glue Dots. Using a whole punch, cut three evenly spaced holes in the circle. Next take three pieces of string and tie each one to the holes. Once all three strings are attached tie them together near the free end. This is where you will hang your mobile. Now you will hang your remaining pieces of string by placing a Craft Glue Dots on the inside of the circle and pressing the end of your string to it. 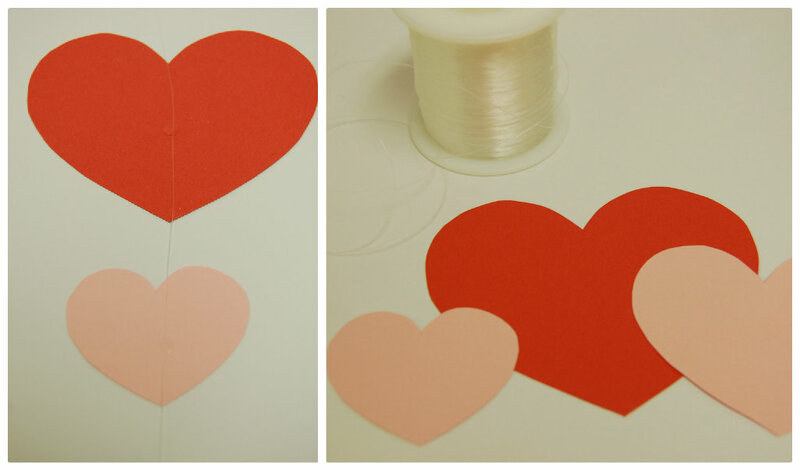 Next place a Mini Glue Dot on each heart and press to the string. Repeat until your heart mobile is full.